The 1980s and '90s produced a breadth of movies that you repeatedly watched on VHS as a kid and then illegally downloaded again as an adult. Sure, no one can get enough of those implausible plot lines, nor those the exaggerated personas. But most of all? It was those fantastic gadgets. They filled holiday wish lists from your childhood and would still evoke the same joy if someone gifted you one today. Below are 10 favorites, along with how you might use it today, should you ever meet a generous eccentric billionaire. Hey, stranger things have happened. Offbeat but lovable scientist Wayne Szalinski wins Father of the Year by accidentally shrinking his kids with his homemade shrinking machine. Oh, Rick. Thankfully in the end he's able to bring them back to normal with some sort of convenient "reverse" function. What you'd use it for today: Moving big furniture into your apartment, bathing suit season. A 12 year-old makes a wish to be "big" on this ancient-looking fortune telling machine that also apparently grants wishes. He then wakes up 18 years older, rents a sick penthouse in NYC, and develops a borderline-statutory romantic relationship with an older female toy exec. Hey, it was '80s. What you'd use it for today: Wish for more wishes, or an age-appropriate girlfriend. The chosen weapon of the Jedis and Sith alike, the Lightsaber has been a staple throughout the Star Wars franchise. Projecting a retractable ray of plasma from the handle, lightsabers sliced through skin and bone with no mercy. What you'd use it for today: Hardball negotiations at the car dealership, toast. High schoolers Bill and Ted can only bring about a utopian future if they pass history class and don't get shipped off to military school. To make sure the future remains on course, George Carlin inexplicably travels back in time in a phone booth and becomes their study buddy. What you'd use it for today: Going back in time and re-living the glorious, meteoric rise of Keanu Reeves' career. 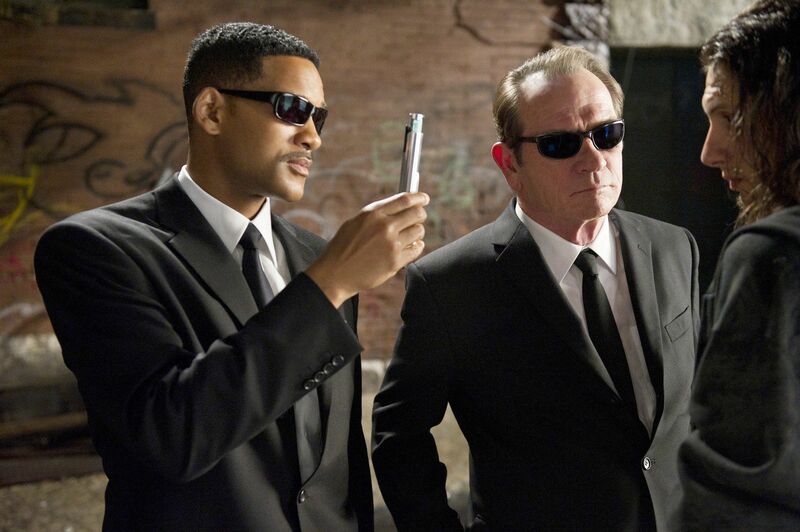 Alternately referred to by Will Smith as a "flashy thing," the Neuralyzer is a high-powered memory eraser that may or may not inflict later brain damage. This gizmo was crucial for MIB denying the existence of extra-terrestrial life. What you'd use it for today: Re-doing job interviews that went poorly, erasing bad one-night stands. Kids everywhere lusted after Marty McFly's hoverboard, and since then, the chase has been on to recreate a skateboard that could whizz through the air and impress small children. Well, the future is now. 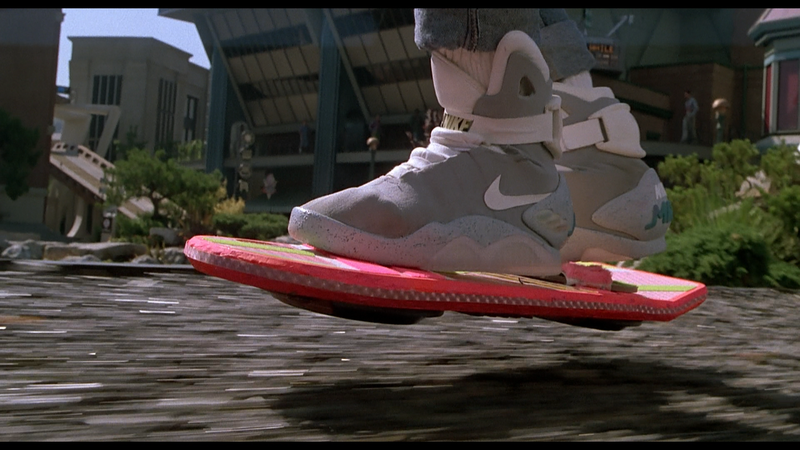 What you'd use it for today: Evading traffic on your morning commute, evading girls throwing themselves at you. James Bond had an enviable collection of toys to get him out of trouble, but this device from Thunderball has the double perk of letting you breathe under water and looking like a cigar. Stogies? Why not? What we'd use it for today: A crucial life-saver when global warming eventually puts all our coastal cities underwater. If it's good enough for Bill Murray, it's good enough for you. 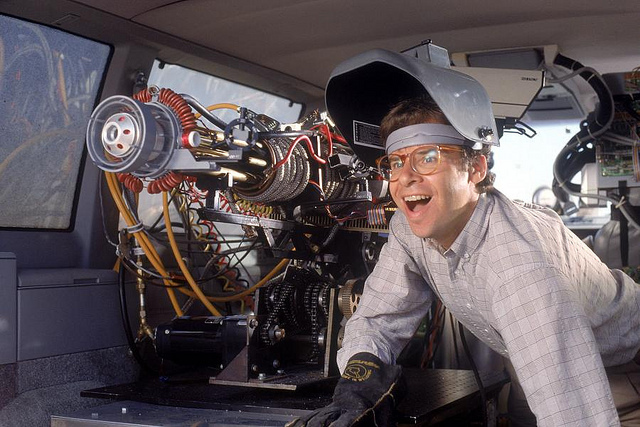 The Proton Pack is the single-most critical gadget of the film, without which busting ghosts would have been literally impossible. What you'd use it for today: Highly effective vacuuming, ridding your refrigerator of malicious spirits. Step aside, Johnny Depp. The original Willy Wonka will always reign supreme, what with its flagrant disregard for political correctness, acid trip boat ride, and Wonka Vision. The undoing of Mike TV, Wonka Vision could materialize items on the big screen into the palm of your hand. What you'd use it for today: Avoid grocery shopping until the end of time by turning it on during any restaurant's commercials. Except Arby's. You're better than that. A rich, eccentric billionaire has a personal scientist (don't you have one of those?) 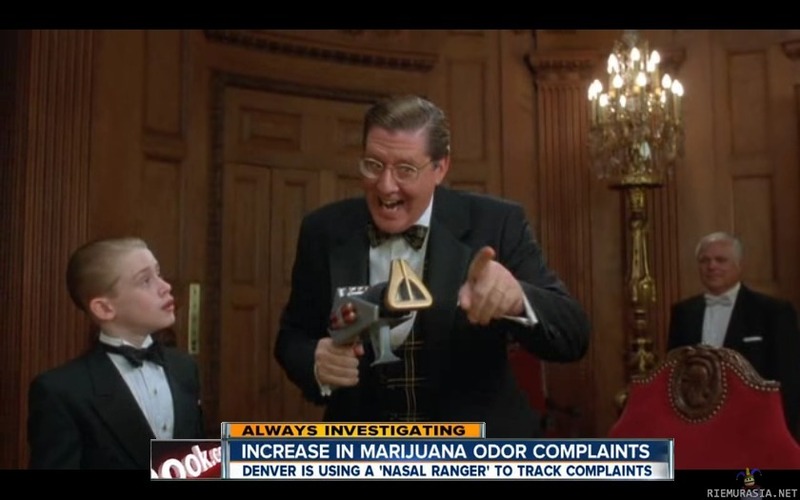 who invents a nose-shaped gadget that can sniff and identify whatever substance it's pointed at. 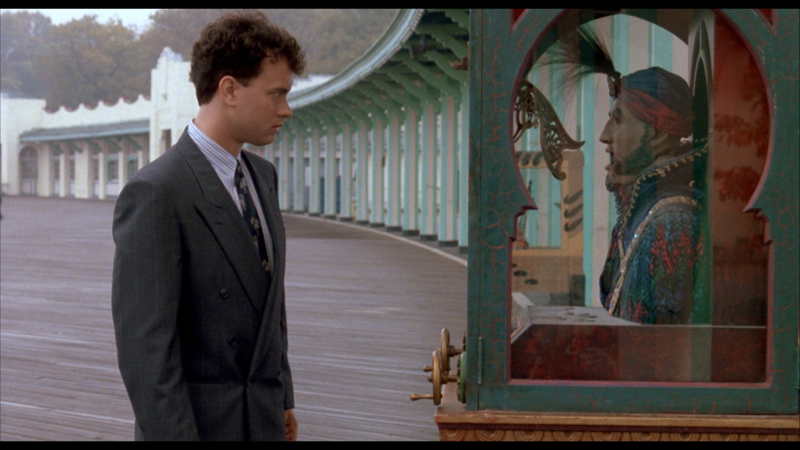 But sadly for his son, McCauley Culkin, money and nose-themed machinery still can't buy him friendship. What you'd use it for today: Figuring out if the milk's actually gone bad, calling out your roommate for "borrowing" your weed. Ali Drucker is a staff writer for Supercompressor. She was going to return it, okay? Follow her on Twitter and Instagram.